The proper care for a mattress allows substantially prolonging its life. The service regulations are easy and don’t require a lot of effort from you. 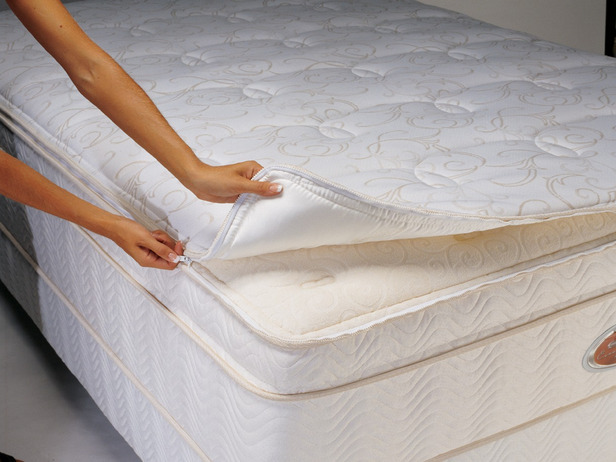 The main care for mattresses consists in their airing and vacuuming. You might not dust off the mattress. The stains are removed with a textile cleaner. The mattress dries in the air without using an iron. You should carry and keep your mattress only in a horizontal position and on an even plane. You shouldn’t lay any objects under it. The same goes for the mattress use. It’s important if the size of the bed is equal to the mattress dimensions and not less. You may roll and bend only springless orthopedic mattresses on the basis of the polyurethane foam or latex. As for the box-spring system mattresses, such action is strictly prohibited. It will lead to the damage of the mattress comfort layers and box-springs. You should turn over the mattress at least once a month. That is necessary in order to renew the soft cover layers and box-springs. It is not recommended to sit regularly at the edge of the mattress in the same place. It can lead to its deformation. Don’t let the kids jump on the bed. Check your weight to match the recommended values of the model. The mattress service life will be less if the weight is over than the restrictions. You should change the mattress every 10-15 years. But this rule implies that the standard care procedures and careful using are implemented. It may happen that you ought to change the mattress up in 5-7 years, but perhaps it will last much more than the recommended term. Deciding to change the mattress cater to your feelings. If you become to sleep worse and after waking you don’t feel rested without objective reasons, it means you should pick out a new mattress. If your constitution, lifestyle, and habits have changed, change your mattress too.